Individual care, small town values, holistic approaches. "My son started going when he was just 4 days old! I never did this with my other two kiddos, but my third has already been there twice now. He was having issues with bowel movements, and after seeing the chiropractor just one time things really released for him! He's definitely going to be going back routinely. I have taken my 3 year old too who has not slept through the night since he was born! Since going to the chiropractor he's now sleeping through the night! 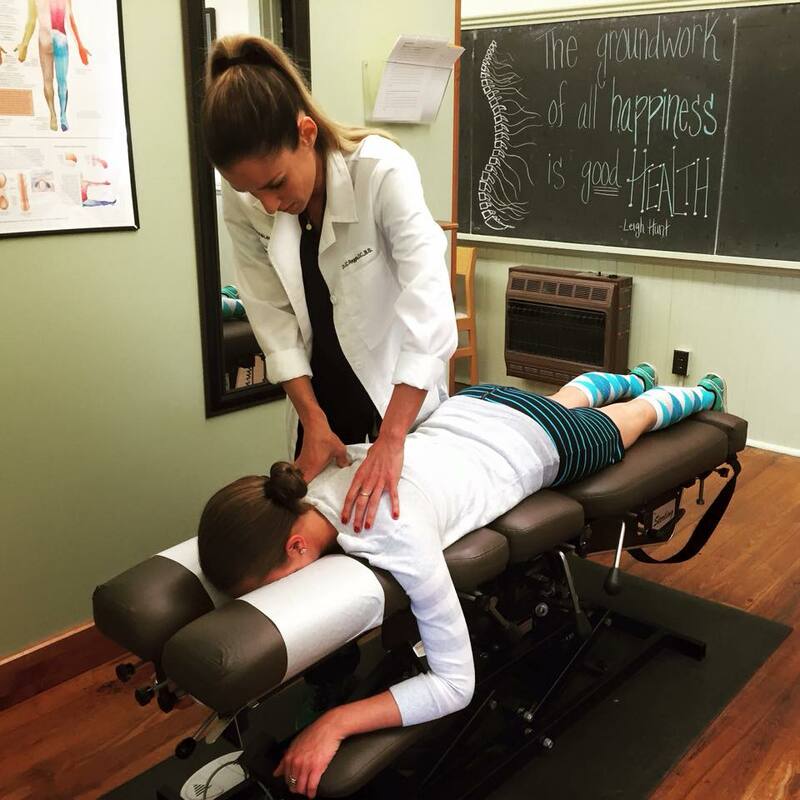 Now this may not be the case for everyone, but I am a FIRM believer in using the Chiropractor!" - Bre M.
"Dr. Reggia is amazing! After having a stressful pregnancy my body was totally out of balance. She walked through all my problems with me, and we formulated a strategy. After a couple visits she had me back to feeling like my old self. I actually didn't realize how terrible I was feeling until everything was "fixed." I would recommend her to anyone time and time again." - Megan A. "Dr. Jasmine is awesome! She is very friendly, kind, considerate, and knowledgeable! She listens to what you have to say. She works with you to formulate the best strategy to improve your overall health! I've never felt rushed. Even on her busy days it never feels like I'm being pushed out the door. Her office is clean and has an inviting personality and charm to it. It's refreshing to know there are still medical practitioners who realize that the body's overall wellness is more likely to be achieved with a multi-faceted approach, rather than viewing it from the perspective of their specialty alone. Thank you, Dr. Jasmine!" - Joe S.
FOR THE MOST UP-TO-DATE & SEASONAL HOURS, NEWS, AND MORE, LIKE US ON FACEBOOK!